Get away with her and have some fun and excitement. 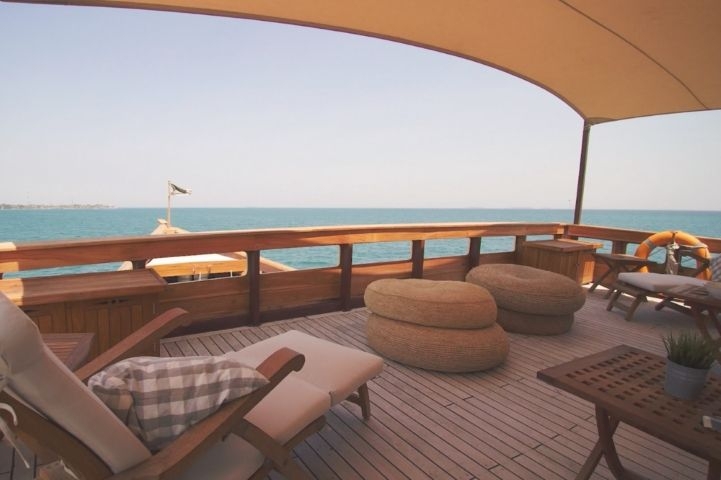 Exciting news for amateur sailors looking for a “live-aboard” holiday in one of the most beautiful places on earth; 7 to 12 days of almost total privacy, with an ever-attentive crew waiting on all your needs. There are still a few berths on a number of exclusive yachts available for private voyages around the magnificent islands of East Indonesia - the best spot to catch sight of this year's much anticipated full solar eclipse on the 9th March. Out at sea away from light pollution and right in the path of the solar eclipse, guests on board a private yacht will experience this incredible phenomenon as part of the trip of a lifetime. The “secret spot” for catching the best view of the eclipse is Raja Ampat, a chain of pristine islands located off the coast of West Papua which will be darkened by the solar eclipse. The extraordinary environment of Raja Ampat is made up of four main islands, surrounded by approximately 1,500 islets cloaked in jungle and edged with white sand beaches, a remarkable place to sail, with a unique underwater landscape to rival any other. The beautiful 30m phinisi expedition yacht Mischief was recently launched in Indonesia. She was built by legendary shipbuilder Pak Haji Wahab at the Konjo Boat Builder’s facility in South Sulawesi between 2013 - 2015 as a custom project by her owner, designed to explore the Indonesian archipelago and its islands in luxury, style and comfort. The yacht was built to resemble the traditional style of Phinisi trading boats still found cruising in the Indian Ocean, the Java Sea, the Timor Sea, the Banda Sea and the Celebes Sea. Mischief’s 3 elegant en-suite cabins are uniquely situated above deck and feature large windows to take in the spectacular landscapes, sunrises and sunsets in these open waters. 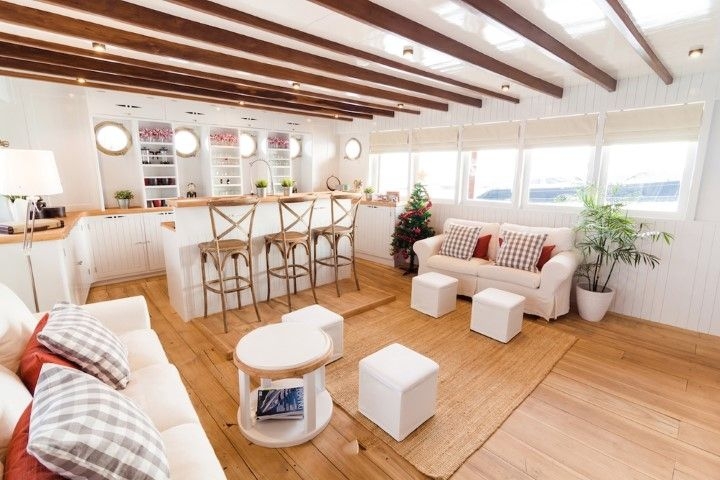 A saloon lounge and bar area complete the interior, while out on the wrap-around deck, there is ample space for relaxing in the sun or under cover. Mischief is designed with luxury, style and comfort in mind. There are a few slots available for last minute private charters sailing the crystal clear waters of the region between Komodo Island and Papua. The graceful Raja Laut (Ocean King) is a classic gaff-rigged schooner inspired by the classic trading ships of past centuries. In 2016, she’ll celebrate her tenth anniversary and has commemorated a decade of sailing experience with an extensive refurbishment. 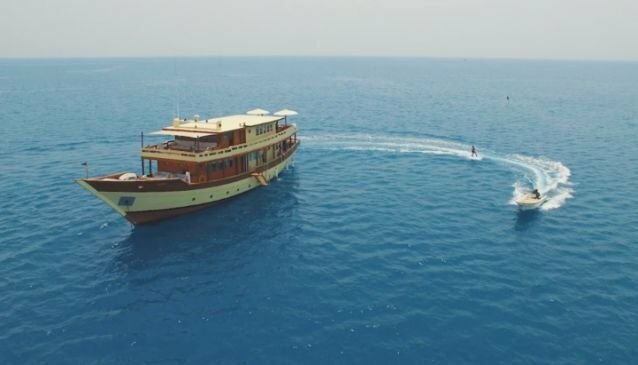 Raja Laut is the perfect option for adventurous families with a combination of 6 double and twin cabins, all of which have just been refurbished. When she celebrates her tenth anniversary in July 2016, she’ll be sailing among the Komodo islands, home to fierce Komodo dragons, smoldering volcanoes, pink beaches and incredible marine life. Chartering a private yacht is the perfect way to experience the breathtaking beauty of Indonesia. Following the recent relaunch of Ultimate Indonesian Yachts, the brand new "Mischief" has now been added to a handpicked fleet of luxury yachts offering an unrivalled means of exploring the famous sites and countless secrets of the magical archipelago of 17,500 islands that make up Indonesia. With much of Indonesia surrounded by ocean, travelling by boat is undoubtedly an efficient and enjoyable way to explore the many islands that make up “Wonderful Indonesia”, some uninhabited and as yet unnamed, a veritable feast of natural beauty. On a personalised sailing holiday tailor-made by an expert team, you can discover a jewel box of desert islands edged with picture postcard beaches and fringed with pristine coral reefs, visit traditional villages and get immersed in local culture, trek through jungle to spot fascinating wildlife, surf epic waves or dive in crystal waters. You’ll be left wondering where the people all went. The western part of East Indonesia, including Bali, Java, Lombok and Komodo National Park is generally best visited between May and September. The east, including Timor, Papua, Raja Ampat and the Moluccas, is best visited between November and March. 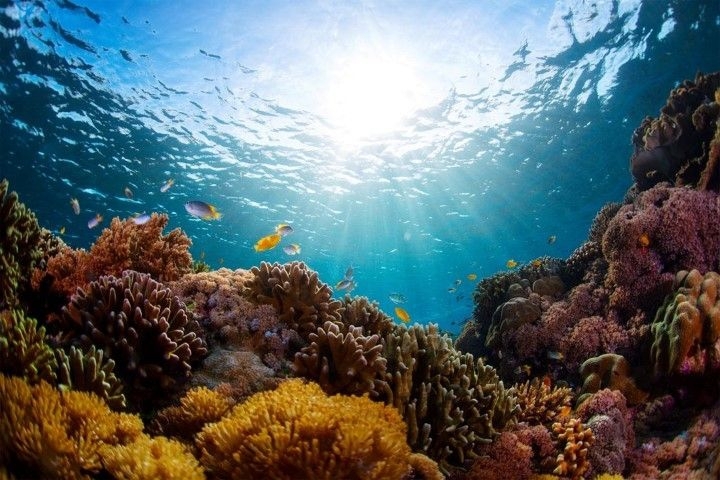 Indonesia is home to 75% of all know coral species, 40% of the world’s reef fish species and 6 of the world’s 7 sea turtle species, nearly all endangered. 29 types of whale, including humpbacks, sperm whales and blue whales migrate through these waters annually, while resident marine creatures include dolphins, whale sharks, manta rays, sunfish and the elusive dugong.